Get ready for Halloween with these eerily awesome soundtracks. Believe it or not, but it only took John Carpenter three days to write the score to Halloween. Comprised of a bone-chilling piano and dramatic synths choir, the soundtrack fits the slow, suburban horror movie, one of Carpenter’s finest works. A great mixture of deathrock, punk and goth groups including The Damned, The Cramps and The Flesh Eaters, the soundtrack to Return Of The Living Dead, a sequel to Night Of The Living Dead, is probably one of the greatest horror soundtracks out there. Is there somebody who doesn’t want to watch a zombie invasion happening to the sweet rockabilly sounds of ‘Surfing Dead’? If you’re a heavy metal fan, ’80s film Trick Or Treat will make you check your record collection for a boogeyman. The story goes about a dead rocker and an unlucky metalhead who summons his murderous ghost – by playing his album backwards. The film features cameos from Ozzy Osbourne and Gene Simmons, but the soundtrack is all about Motorhead's former guitarist Eddie Clarke, whose band Fastway provides the windmill-worthy soundtrack. Perfect for adding a bit of moaning metal to fright night. Robin Hardy’s ’70s horror film, revolving around the creepy community living on an isolated island, could only be soundtracked by weirdy-beardy folk music. 'Willow’s Song,' sung by the landlord’s daughter (Britt Ekland) trying to seduce Edward Woodward’s policeman, has been covered by artists as different as Sneaker Pimps. The Mock Turtles, and Isobel Campbell of Belle & Sebastian. 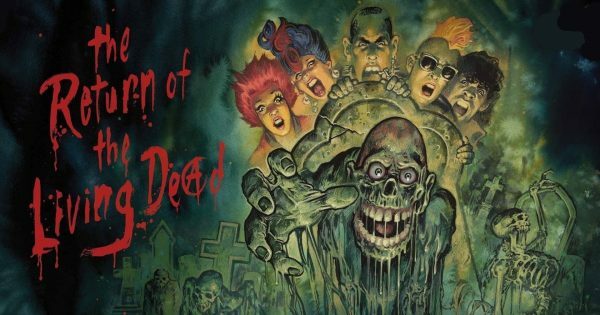 Dawn Of The Dead saw zombie genius George A. Romero working with cult director Dario Argento, and it’s Italian prog-rock band Goblin, that provides the krautrock-determined sounds for this 1978 classic horror. Moving from hypnotic beats and whirring synths to sinister drones, there’s danger in this music. It Follows might not be still considered a classic horror, but its soundtrack takes its inspiration from none other than John Carpenter. Composed by Disasterpeace (Rich Vreeland), better known for making video game soundtracks – It Follows is his first step into the film world, and it’s a triumph. His retro-style synths, exploding percussion, and chaotic sound effects are combined to create something that’ll have you looking over your shoulder in dread. The soundtrack to David Lynch’s surrealist horror Eraserhead consists of only two pieces of music. One is the pieces of organ music by Fats Waller. The other - ‘In Heaven (Lady In The Radiator Song),' which was composed for the film. It’s a simple song, with a gradual and steady organ line droning under the lady in the radiator. It’s as intriguing as the film itself. Minimalist hero Philip Glass is behind the music to this ’90s classic, unusually bombastic as for a horror film thanks to its church-like choirs and dramatic piano. It’s the second scariest thing to saying the C-word three times facing a mirror.